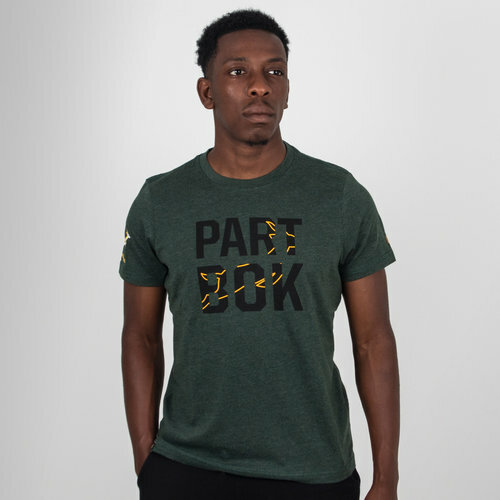 As one of only three teams to have ever been ranked number one in the world show your support for the Springboks in this South Africa 18/19 Graphic Rugby T-Shirt from Asics. 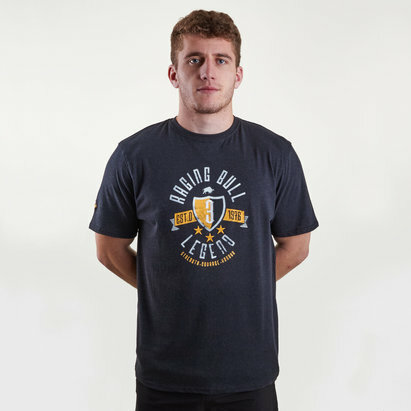 Get behind the Springbok squad with this Asics rugby fan t-shirt. Made from soft cotton fabric and featuring a regular fit and slightly elongated rear hem for extra coverage, this top is the most comfortable way to support your team. This t-shirt comes in a bottle green heather colourway with a black and yellow graphic design. The Springboks logo is on the sleeve.